Some cars look faster or more aggressive than others. Cars can often suggest emotions to us- have you ever heard someone say “look at that fast car” while looking at a static vehicle? How is this achieved? How did they know it was fast? Well firstly we can look at principles that affect every car. Packaging (see the basics of car design) of the occupants and components is probably the most important factor in shaping a car. This affects the size and proportions. Certain packages are associated with speed, and fast cars. A mid-engined package, where the engine is behind the driver, is strongly associated with sports cars and race cars. All Formula One cars use this configuration for example. Also, cars that can only accommodate 2 people, are usually assumed to be sports cars. Nearly all cars have a small amount of speed designed into their look. This is due to them being moving objects- and the design is usually intended to be directional. This is often functional as well as purely for styling. The most obvious aspect of this is what we will call the “wedge” and the “taper”. Wedge simply means that the front of the car is lower than the back- in side profile. There are often many horizontal lines and surfaces- also intended to suggest a forward direction for the vehicle. Most cars also taper towards the rear in plan view. This is for aerodynamic reasons, and is a lot less obvious than the wedge shape. 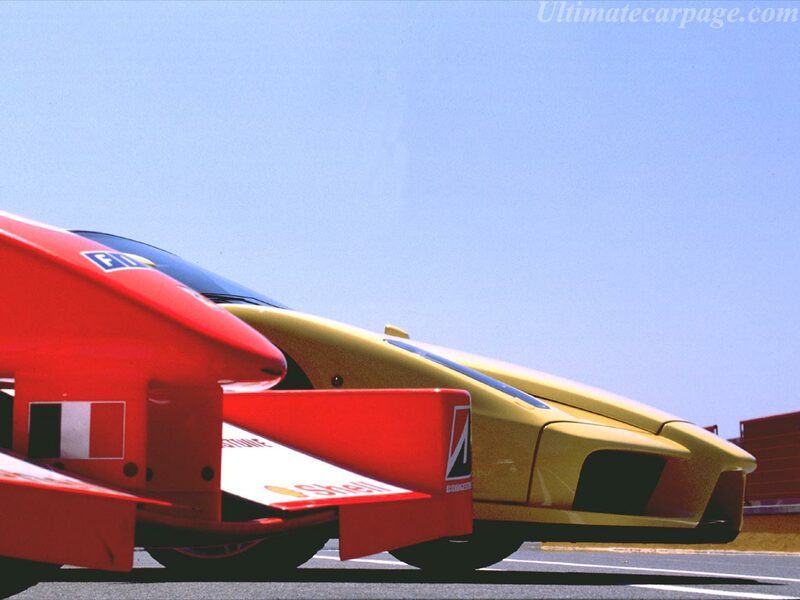 The clearest way to explain why a certain car looks fast- is to look at what influenced the design. 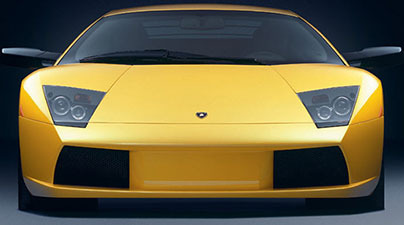 Designers are always inspired and influenced by various sources when designing vehicles. Commonly the influence is from other cars. The consumer is also influenced in a very similar way- as to what they would regard as fast, or desirable. Historically car design influences have changed over the years in regards to speed. A simple rule applies throughout however- to make something look fast, copy fast things! 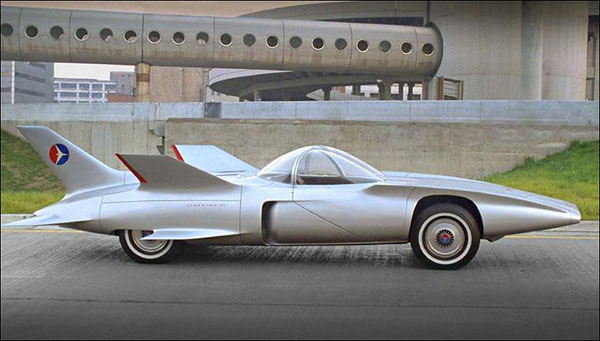 In the 50’s and 60’s for example, American car design borrowed from some of the fastest vehicles designers could think of- Jet planes, and Rockets. 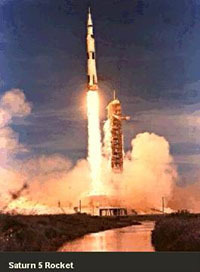 This was the age of the space race after all. Cars sported huge fins, and were often very long- thin and barrel shaped. Since the 70’s though, fast car design has largely been influenced by the most important display of automotive speed- Motorsport. (rear wing) on a road car, and that car instantly looks faster and more exciting! There is more to it than simply adding a wing. Race car design is purely functional, and that function is speed. The resulting shapes and lines can often look very fast- even when not moving. Road cars often use the same fast, dynamic lines and surfaces as race cars, but for pure styling purposes. Consumers are currently so conditioned to this connection they often modify their own vehicles (which are not actually fast, or intended to look fast) using race car inspired accessories. 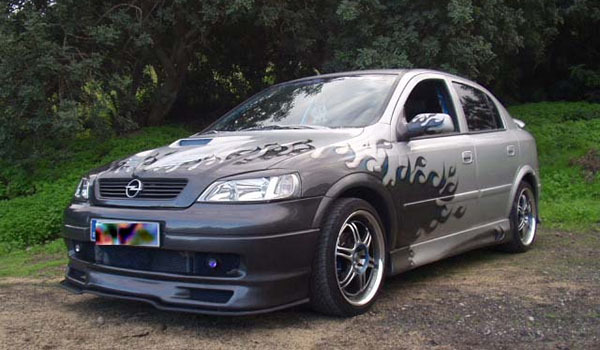 Car modification is a global car culture, which has become amazingly popular. Interestingly cars modified in completely different countries actually end up looking very similar. This is due to them all being influenced by the same thing! 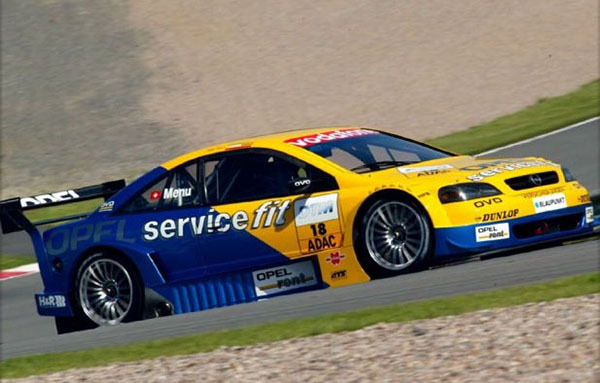 The car on the left above races in the German DTM championship, but the modified road car on the right is from Spain. 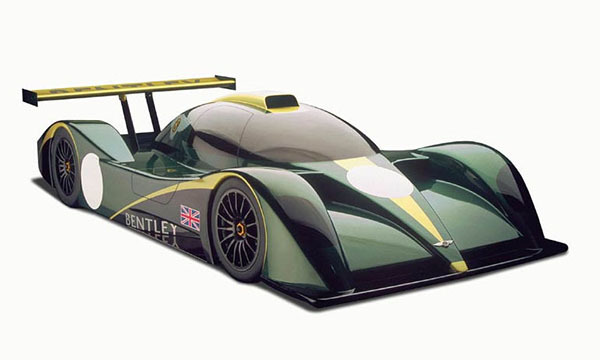 Car designers often directly acknowledge motorsport in their designs. An example an extreme high performance machine that is intended to link a companies road car division, to its Formula One team is the Ferrari Enzo. It has a front end design inspired by the nose of the Formula One race car. To convey aggression, or character in a vehicle we need to realise how cars can become personified. This mean they begin to look like humans, or sometimes even animals. The first thing we learn to recognise as humans, is other humans. 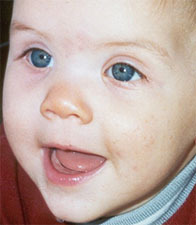 We also rapidly learn the expressions and emotions associated with the human face. Designers use this inherent knowledge to give (or not give) a car the right character for the type of car it is. In the past, but less so now, mistakes were made and cars became associated with perhaps the wrong emotion. Fast cars are often also intended to be aggressive. Again, this can be seen as influenced by motorsport- only the most aggressive drivers will win, but of course instinct tells us that aggressiveness will win in any situation. The functional parts of cars can be associated with human/animal features. Bonnet= nose, and forehead area. 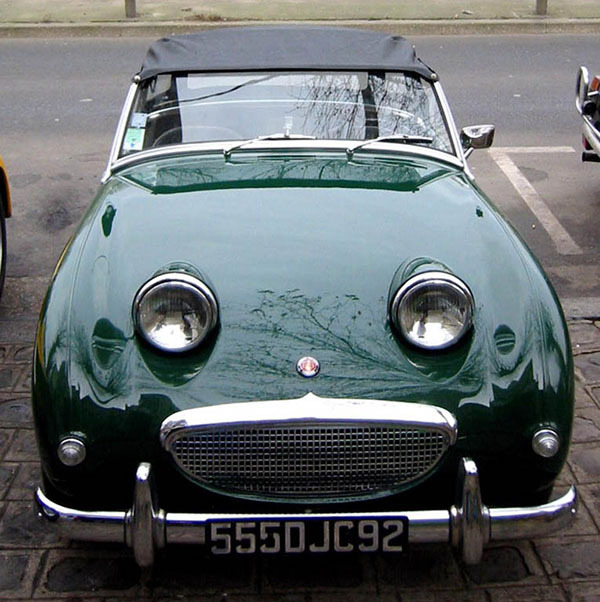 Grills/Air intakes= nostrils and mouth, sometimes grills form teeth. These elements can then be used to express the character of the car. For example a cute, youthful, and non-aggressive car often looks very baby like. Round wide eyed headlights, and a cute smile are very clear cues. Fast cars tend to combine motorsport elements, into an aggressive face. 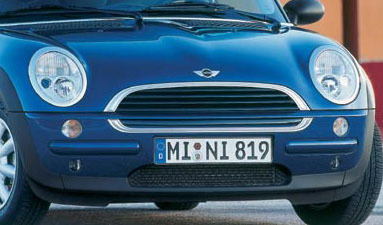 Air intakes, looking like nostrils, are often important to signify the cars hunger for air! It’s breathing heavily (a race car technically is breathing heavy! ), because it is running not walking! The mouth may be wide open. 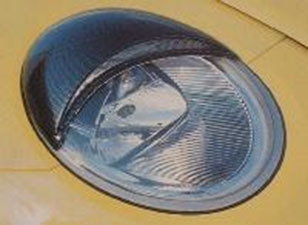 Headlights are angled, to look like a frown or a scowl. Even consumers are part of this process of personification. Some people find that their own car is not aggressive enough- too wide eyed perhaps. The result is aftermarket parts to actually alter the character of your cars face- such as these “eyebrows” for a VW Beetle (see image). Combining all these elements can result in a very obvious and clear message for the viewer of that vehicle. The designer can control exactly what the end users feels about a design. A good modern example of this is the new Mini- how many people have you heard say “ahh that’s a cute car”, or the other extreme would be something like the Lamborghini Murcielago GT. The deep set- squinting, angry eyes, combine with the race spec wing to produce a menacing vehicle.